Included: Boat and Car Transfer to Seymour Island from Puerto Ayora, National Park authorised guide, lunch & drinks. Snorkel is allowed in the tour. 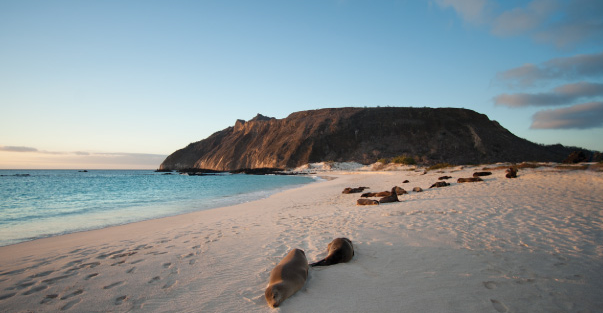 In Galapagos you have the possibility to visit uninhabited islands, and North Seymour is one of the best options due to its proximity to Santa Cruz. The tour begins in Puerto Ayora, where a vehicle will pick you up to depart for the Itabaca Canal. There you will take a boat that in 45 minutes will take you to this wonderful island located north of Santa Cruz. 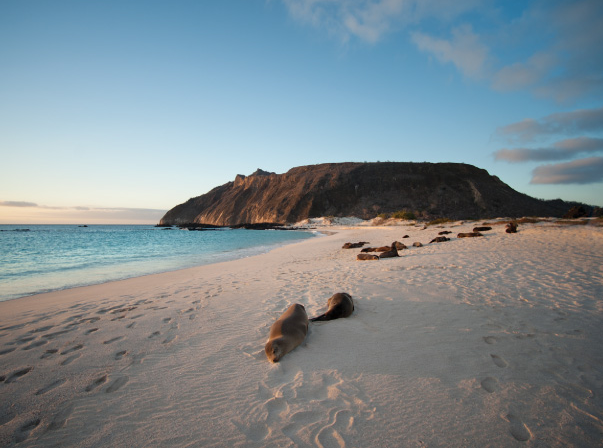 A guide that will accompany you throughout the tour and will tell you all the particularities of this place, as well as everything you want to know about the species endemic to the island and its history. On the way to Seymour Island, the boat will make a stop in the middle of the ocean, in a particularly unique place, due to the amount of marine species that clump in the area. You can take advantage to snorkel, and appreciate the wonderful seabed of this area. Once you reach the coast of North Seymour, its paradisiacal beaches will captivate you. nevertheless, it is not the only wonder of this island. This toru will allow you to take a 2 hour hike through the interior of the island, so that you know its particular vegetation, and the reason why it is one of the favorite places for birds in the archipelago. Seymour Norte is an island that emerged as a result of various volcanic eruptions. The volcanic sediments that formed the island, have given rise to an abrupt terrain, so wear comfortable shoes with a thick sole to make the comfortable journey, and reserve the flip flops for the beach. Its abrupt surface is the reason why iguanas and birds inhabit the island, since it has prevented other species that can pose a threat to visit it. After the walk around the island, we will return to the boat, and after a journey of approximately one hour, we will arrive at Playa las Bachas, already in Santa Cruz, where we will enjoy a well-deserved rest. Without a doubt this beach is an ideal place for it. Its fine sand and crystal clear water will put a perfect end to this tour, which will undoubtedly cost you forget.